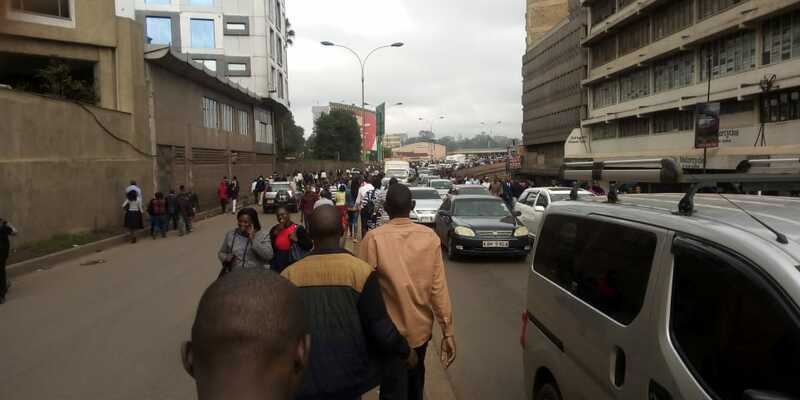 Nairobi Governor Mike Sonko has lifted the Matatu Central Business District (CBD) ban, hours after he insisted that the ban was there to stay. The governor, in a statement said that he had been touched with the plight of commuters, the reason he decided to lift the ban. “I have noted with deep concern the plight of Nairobi residents as a result of the ban, and hereby announce that the full implementation of this directive has been suspended with immediate effect,” read the statement in part. Sonko said that he reached the decision of lifting the ban after holding a meeting with matatu operators. He however said that he is looking for a lasting solution of traffic snarl ups in the city centre. “I have met this morning with the affected PSV operators with a view to agreeing an acceptable solution that has less negative implication on all affected. During the coming days, I will continue to hold discussions with affected parties to find a way forward. This is to facilitate further consultation with all affected parties, in order to find a lasting solution to the problem of vehicular congestion,” said Sonko. The ban which was effected yesterday left the city in chaos, with thousands walking long distances to the then allocated pick up points. Others could not locate the new pick up points for matatus going their route. Some of those who did not know where to pick their matatus were stolen from by people who pretended to help them with luggage to the new pick up points. Along major roads traffic jams ensued as most people chose to use personal cars, while the enforcement of the ban by traffic police and city askaris slowed down traffic. Later in the day, Nairobi Senator Johnson Sakaja and matatu operators through their saccos moved to court seeking orders to lift the ban, which the court declined.